Talking to ourselves can be very healthy. We do it all the time and don’t even think about it. Each day we say more than 50,000 words to ourselves… 75% of which are negative. When you consider that the mind learns through repitition, and that we listen to ourselves more than we listen to anyone else, what we say to ourselves can be a powerful influence. It can create and sustain the way we think and feel. If we are the most important influence in our lives, doesn’t it make sense to communicate with ourselves in positive ways? If we have persuaded ourselves to feel and be the ways we are, can’t we persuade ourselves to feel and be better? We can! If we speak to ourselves in a more focused manner, our minds and bodies seem very willing to fulfill our requests. One of the best ways of contacting the healthy abilities within us is to talk to ourselves in the mirror. When we are concentrated in such a conversation, we can contact a wise part of us that knows how to make things better. It’s easy to do, and you can begin as slowly or quickly as you want. Find any type of mirror and look exclusively at your eyes. Some find this difficult, so keep at it, even if only for a short time. When you look at your eyes, fix your gaze there, and begin to speak to yourself. Tell yourself that you love and appreciate yourself. Thank your body for doing the job it is doing. Phrase everything positively and in the present tense. Then, address your goals. You may say something like, “I love you and appreciate you. I thank my body for doing its best for me. I now release any and all pain. All sensation I feel is comfortable and pleasant. My body and mind always work for my highest good and well being. I am calm and balanced. I deserve to feel well and be well, and I accept being better.” Then, you might add this phrase, which I find very helpful: ” I now order the part of me that knows how to release all pain and create safe and effective remedies within. I order that part to activate all my natural resources to create comfort and wellness.” And then continue with commands that are specific to your situation, and return to cheering yourself on with more positive phrases. I find that five minutes or more of this concentrated talk is very beneficial, and does produce results. I would further recommend that every time you pass a reflective surface, look at yourself, say I love you, and add one other meaningful phrase. Make it a habit to speak to yourself in loving, supportive, and positive terms to counteract any negative self-perceptions you may have adopted. 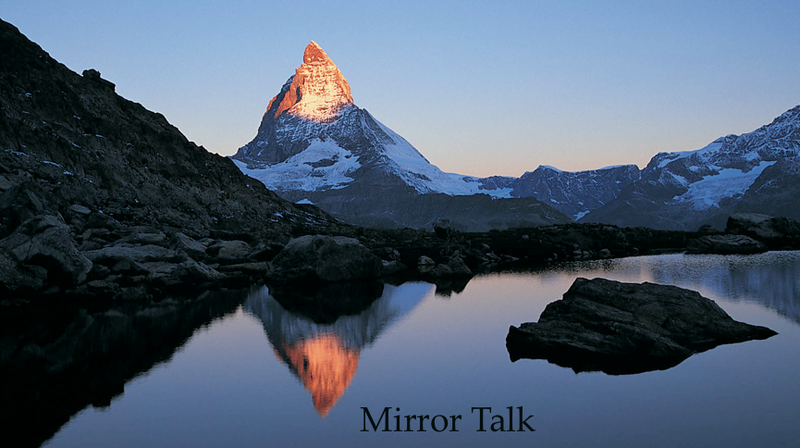 Even in serious situations, I have found that going to a mirror and speaking like this helps to diffuse negative sensations and thoughts, and often release them entirely. This entry was posted in learning and tagged attitude. Bookmark the permalink.